Storage has been built piecemeal into an extraordinary complex environment in its architecture, upkeep and financial liability. It's hard to budget for, hard to maintain, and impossible to do without. IT teams have a choice. They use the approach they always have, adding new storage as current circumstances demand and the business drives them. Alternatively, they can use new technology—software defined storage—to re-architect storage to be smarter, less complicated and infinitely scalable. 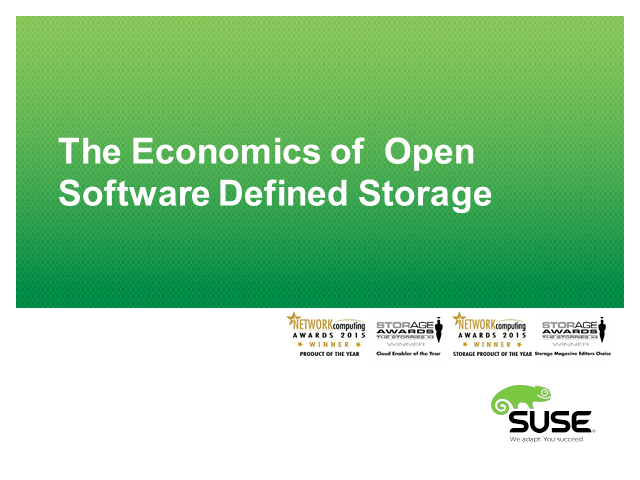 The webcast looks at the economics of Ceph based Software Defined Storage.